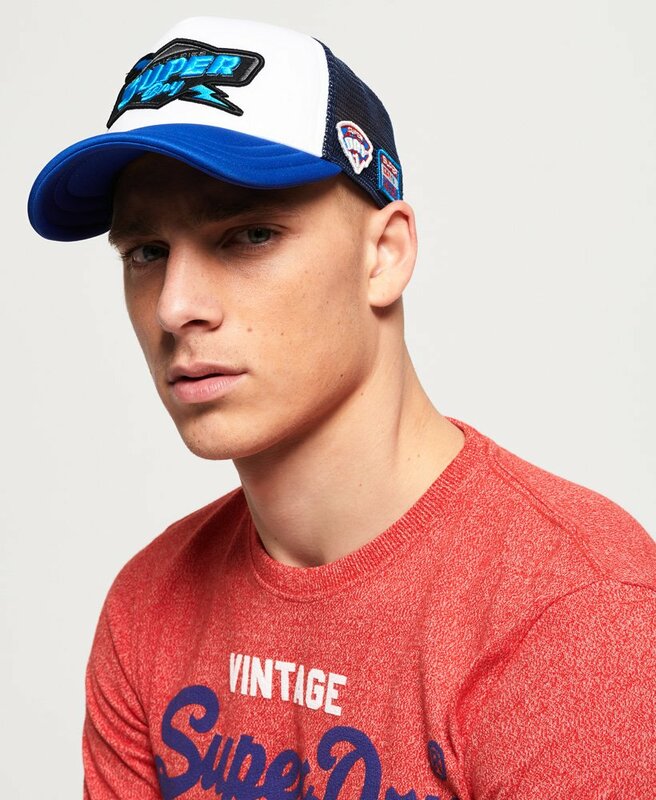 Superdry men’s Bolt trucker cap. A classic style trucker cap featuring an applique Superdry logo on the front, a mesh back and adjustable fastening for extra comfort. The Bolt trucker cap is finished with a selection of unique Superdry badges.